If you or someone in your family is physically or emotionally hurt due to a medical mistake, you can file a medical malpractice case against the healthcare provider or medical institution responsible for the mistake. That is where you will need the assistance of a highly specialized medical malpractice attorney in the area. In fact, there is a wide variety of reasons to hire legal representation for such a situation. 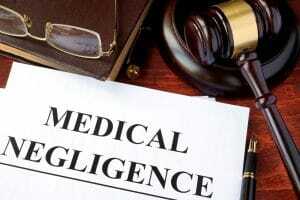 Here is why you need a medical malpractice attorney. You can decide to take a medical malpractice case to court on your own. If you decide to take this route in order to save a few hundred dollars in the process, you will be at a significant disadvantage. In fact, you will be navigating through the legal as well as the insurance system in the country for the first time – which is not the best thing to do unless you are an experienced lawyer yourself. The other party will have a reputed and experienced lawyer representing their case – who will use the law to benefit their cause. That way you are going to lose more money than you planned to save once the case is over. In case you or someone in your family is hurt due to a medical mistake, you should work with a person who has a good understanding of the intricacies of the medical malpractice law. The person should have successfully handled similar cases in the past. In fact, the right medical malpractice lawyer can negotiate with the insurance provider and get you the kind of settlement that you truly deserve. You need to perform a thorough investigation into what really occurred during the treatment process in order to prove that it was a deliberate medical mistake. But you are not likely to get all the information from the healthcare provider or institution who treated you or your loved one. That is where a professional medical malpractice lawyer comes in handy. He or she is experienced in dealing with such situations in the past. In fact, he or she will know where to begin the investigations and how to get all the information he/she requires. On the other hand, an experienced lawyer will know if an expert opinion is required to prove the case in a court of law. That is why you should hire a professional and experienced medical malpractice attorney to handle your case. Contact us for more information and a free case consultation or for immediate assistance contact one of our highly qualified Attorneys in the Oklahoma City area call (405) 253-4478 or our main office in Ardmore (580) 798-0447.